TSG offers a wide variety of IT services to address your organization’s need. These services allows your staff to work from home and remotely access the EMR system. In today’s business scenario, IT infrastructure plays a significant role in enabling competitive advantage or optimizing revenue and profit. Our robust IT infrastructure solutions help you develop a flexible and agile IT infrastructure with high availability, reliability, security, delivery accuracy, and cost control. We at TSG help you construct and manage an IT infrastructure that will meet your dynamic business needs. We leverage our expertise in new generation transformation models that will transform your IT landscape with effective infrastructure management solutions. We also provide end-to-end service management across multiple technology platforms and disciplines including applications, BPO, and infrastructure to meet your business aligned SLAs. 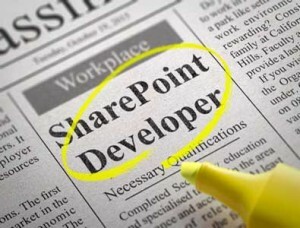 SharePoint allows a company to quickly respond to the changing needs of the business. TSG offers custom SharePoint Portal development that helps organizations to consolidate information and convert it into knowledge for easy access throughout the enterprise. TSG offers a wide variety of IT services to address your organization’s needs. These services allow your staff to work from home and remotely access the EMR system, securely access data with minimum risks, utilize specific resources to increase efficiency, and provide support for your EMR and practice management systems.